A couple weeks ago, I reviewed the book Creature of the Word: The Jesus-Centered Church by Matt Chandler, Josh Patterson, and Eric Geiger. Many books today encourage pastors to be focused on Jesus in their preaching and teaching. But Creature goes beyond the teaching ministry and instructs church leaders on creating a gospel-centered culture in the church, a culture that shapes all levels and areas of ministry. Today, I’m glad to welcome Matt, Josh, and Eric to the blog for a brief conversation about the book. 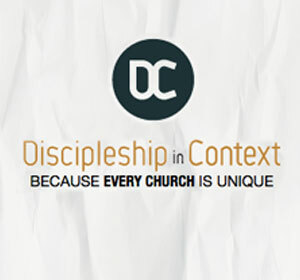 Trevin Wax: The subtitle of the book is The Jesus-Centered Church. “Jesus-centered” is going to be new language for a lot of leaders who are used to hearing about “gospel-centered” everything. 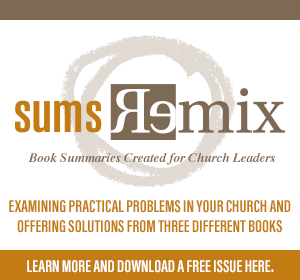 What do you hope this book’s focus on Jesus will communicate to pastors and leaders? Matt Chandler: Our hope in using the term Jesus-centered is to create some distance between a phrase that has been used so much it’s become a junk drawer in many ways. We want to remind people that Christ is the head of the Church, and everything about how our church functions and operates should reflect the new life we are given in Jesus. Trevin Wax: I pointed out in my review how this book benefits from having three authors with unique gifts. How did your particular strengths and weaknesses as leaders influence the insights you each contributed to the book? How has the Lord challenged you personally through the “iron-sharpening” process of working together? Josh Patterson: We all enjoyed the process of approaching this book as a team. God has designed His Church to be made up of various members, all essential, to the building up of the body to maturity. We wanted this variety represented in the book. All three of us have different gifts, strengths and weaknesses which helped us form this book in a unique way. We hope it has resulted in a balanced perspective on the nature, design and function of the Church both theologically and practically. Personally, it has been a rewarding and edifying experience. We spent a considerable amount of time dreaming, talking, praying, pushing back on one another, and shaping our thoughts and words. In short, the entire process solidified our brotherhood as friends and encouraged our hearts to love the Church even more. Trevin Wax: Many pastors are talking about being focused on the gospel in one’s teaching and preaching ministry, but this conversation hasn’t always made it past the pulpit and into important conversations about a church’s culture. What happens when ministry philosophy and church practice is disconnected from or in contradiction to the church’s theological commitments? Josh Patterson: The phrase, “Jesus is the most important part of my life,” is uninformed at best. If we read the New Testament correctly, then Jesus doesn’t get relegated to a part of piece of life. He has come and boldly proclaimed that He is life, not a slice or sliver of it. So, in the same manner, a church cannot compartmentalize Jesus to a certain aspect of her life and function. Ironically, many churches preach and teach Jesus from the pulpit or in Sunday School, but find Him strangely absent from other areas. We wrote in the book about the need to have a clear understand of how theology drives philosophy, which in turn informs the church’s practice. We all face the temptation to let our pragmatics or practice drive our ministry philosophy. The danger here is that we can begin to drift theologically. But, the more immediate implication is that our people cannot see how our theological convictions are relevant to how we actually operate and function as a body. All of this has an impact on the church culture. A church culture that is saturated in the gospel of Christ rightly understands that He is the life and breath of the Church in each and every aspect from theology to daily practice. Trevin Wax: You give attention to the role of community in the church fulfilling its purpose. Some churches tend to fluctuate between an “authenticity” that excuses sin or a “righteousness” that breeds hypocritical living. How does being Jesus-centered challenge both those cultures? Eric Geiger: The best way to answer this question is to look at the Gospel accounts of Jesus’ ministry. He repelled hypocritical Pharisees and attracted sinners who recognized their need for Him. In the same way, when a congregation is focused on Jesus, it becomes the kind of place where sinners come and find transformation. It’s a safe environment for people to be honest about their ongoing battles with sin. At the same time, we don’t excuse sin. We fight it fiercely. The church that fails to focus on Jesus will excuse sin – either the sin of legalistic self-righteousness or the type of rebellion seen in the prodigal son. Gospel-centered community exists with the grace-filled tension of receiving sinners while simultaneously making war on sin. 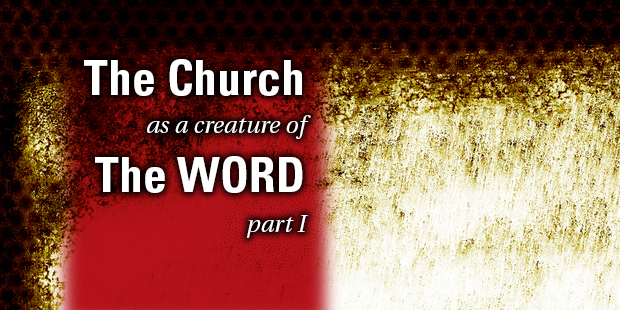 Trevin Wax: What is your hope for pastors and other church leaders who read Creature of the Word? Matt Chandler: My hope is that our theology (rightly understanding who God is) will drive how we organize and operate as a church. I fear that at times our practice drives our philosophy that in turn shapes our theology. This is backwards and dangerous. Our right understanding of God and His revealed word should shape our philosophies of ministry which should in turn determine our practice. I hope this book helps church leaders in this area. Read more from Trevin here.